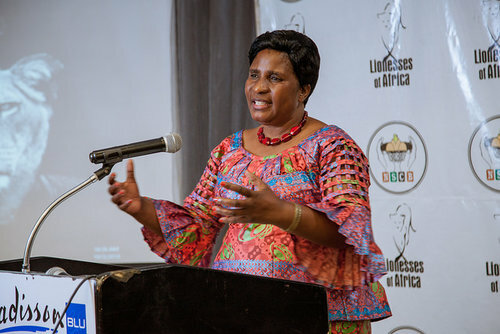 GENDER minister Elizabeth Phiri has urged women, particularly in developing nations to actively engage in the political governance and bridge the global gender, social and economic gap if sustainable economic progression among nations is to be achieved. In a statement issued by First Secretary for Press at Zambia’s Permanent Mission to the United Nations Wallen Simwaka, Phiri told the United Nations that educated women in Zambia, as in many other countries are shunning politics because its male-dominated landscape has often been hostile and unpleasant women. Phiri has however said the Government of Zambia had continued to create an enabling environment for the promotion of gender equality and the empowerment of women and girls through a range of innovative policies meant to close the gender social, economic and political disparities. Speaking when she opened the 63rd United Nations Commission on the Status of Women side event, Phiri noted that the competition in elective political positions of leadership in many countries was often too aggressive for the full participation of educated women, hence creating gender inequalities. The side event was organized by Friedrich Ebert Stiftung in conjunction with Zambia, Women in Informal Employment Globalising Organising, Africa Platform for Social Protection and Africa Labour Network. “In Zambia, like many other countries, particularly in developing nations, for women to get to high elective political positions, they have to defeat men and it is not an easy undertaking. Educated women are shunning politics because the male-dominated political sphere has remained aggressive. But women have to actively engage in the political governance of countries if the social and economic gender gap has to be closed for sustainable development,” Phiri said. She stated that Zambia remains committed to enhance gender mainstreaming through the development of policies and programmes that would be able to reduce poverty and vulnerability among women and girls. Phiri explained that with the National Social Protection Policy, Zambia has seen the enactment of the National Health Insurance and the approval of an integrated framework which aim at ensuring overall coherence and maximization of development impacts of investment in social protection. She said that Zambia’s implementation of the Social Cash Transfer Scheme has so far improved nutrition levels among vulnerable rural households who can now have access to adequate food. Phiri stated that the Government of Zambia was implementing the Food Security Programme, which is aimed at enhancing food security at household level through crop diversification, conservation farming as well as the promotion of alternative livelihoods among communities. “The role of the Social Protection System is not only reducing poverty but also for achieving human development outcomes such as nutrition, health and education and tackling social inequality. Social protection programmes have the ability to tackle social constraints such as lack of income or income-generating capacity,” she added. The 63rd Commission on the Status of Women was also attended by Zambia’s Permanent Secretary in the Ministry of Gender, Dr. Auxillia Ponga, Zambia’s Permanent Representative to the United Nations, Ambassador Lazarous Kapambwe, Helen Mudora, a civil rights activist from Kenya and Dr Laura Alfers of Women in Informal Employment Globalising and Organising in South Africa.